The mildly sweet and juicy flavor of cantaloupe makes it a perfect fruit for even the pickiest palates. 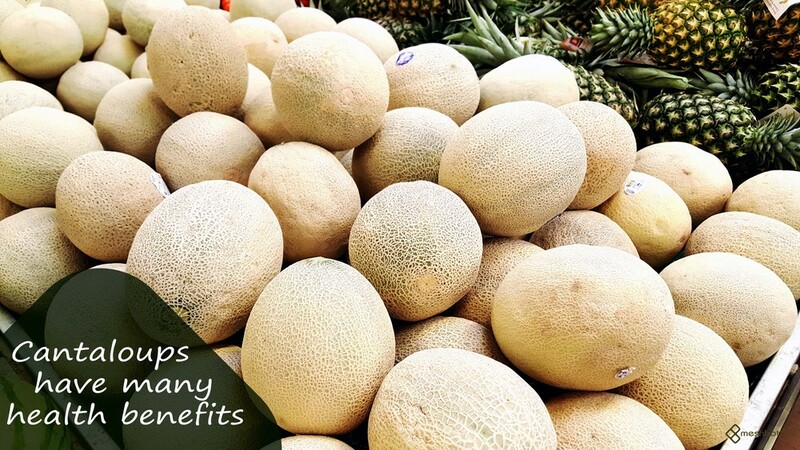 Studies have suggested that increasing consumption of plant foods like cantaloupe decreases the risk of obesity, overall mortality, diabetes and heart disease while promoting a healthy complexion and hair, increased energy and overall lower weight. It should feel a little heavy for its size. The skin should appear webbed, and there shouldn't be any dents or bruises. Look for one that’s tan or even slightly yellow, but not green. Find the spot where the stem was attached, and take a whiff. A ripe cantaloupe will smell sweet and tasty (just like a slice of juicy cantaloupe). Press the cantaloupe all over to make sure there are no squishy parts. A squishy area means it’s overripe. To add a bit of variety to your daily hydration routine, infuse your water with some cantaloupe. Place cantaloupe in a pitcher. Add 2 quarts of water. For sparkling water, add 1 quart of seltzer during prep and a second quart just before serving. Refrigerate 2 to 4 hours to allow the cantaloupe to infuse. Stir well and strain, discarding the cantaloupe. For serving, add fresh cantaloupe slices and ice if desired. The infused water will keep refrigerated for up to 2 days.